Majority of the people want to start some business and become financially free but doesn’t know what to do and how to do it. This book gives you the information about how to create a location independent business and how to supply the products without loosing your sleep over it. You might have tried your best in the past to learn some new technique for sending the products to customer but you might have wondered how to leverage the existing technology to boost your productivity and become financially independent, the truth is you are unable to do it because of lack of effective strategy. This book goes into step-by-step strategy that will help you to learn the location independent business and how to become expert in it and help you to take control of your life You’re well on your way to learn the technology enriched location independent business and become financially free, energetic, and happy for life! 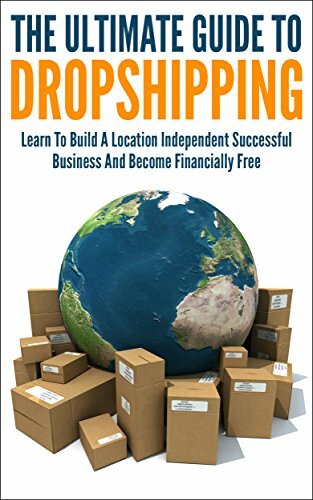 Take action right away to Learn the technique for starting a location independent business by downloading this book “The Ultimate Guide To Dropshipping:Learn To Build A Location Independent Successful Business And Become Financially Free”, for a limited time discount of only $2.99!